Apple's trademark lawsuit against Mexican telecommunications company, iFone, has backfired horribly. Apple's zealous protection of its trademarks may have cost the company dearly, if a report from Mexican newspaper, El Universal, is to be believed. In 2009, Apple launched a lawsuit against Mexican telecom company, iFone, arguing that consumers wouldn't be able to tell it and the iPhone apart. Now the name iFone does bear a striking resemblance to that of Apple's ludicrously successful shiny tray/phone hybrid, but here's where things get interesting; the iFone trademark was registered in 2003, back when the iPhone was just a twinkle in Steve Jobs' eye. Apple didn't register the iPhone trademark until 2007.iFone won the lawsuit, then counter sued and won that case too. Apple appealed, but the case was tossed out last week. According to the Judges sitting in Mexico's 18th District Appellate Court, iFone is the only company allowed to use the "iPhone" or "iFone" brands in Mexico. The ruling could even be applied retroactively, allowing iFone to claim a sizable chunk of the profits Apple has made using the brand name in Mexico. "All that remains is processing claims for invasion of brand. Additionally, they face a sanction of up to 20,000 days at minimum wage rate, and iFone shall be entitled to claim compensation for damage caused by the invasion of their brand. 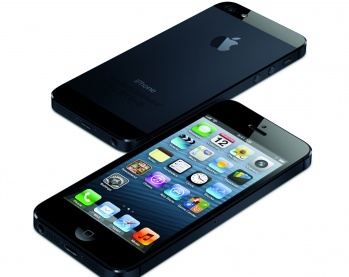 These damages may not be less than 40 per cent of the sales of iPhone services in Mexico, as provided by law." This is the second time in recent months that one of Apple's copyright/patent lawsuit has backfired. In July, a UK judge ordered the company to publish a statement on its UK Homepage saying that, contrary to its earlier claims, Samsung had not in fact infringed on one of its registered iPad designs. Apple complied, but in a rather snide, passive aggressive way. The apology, hidden behind a tiny link at the bottom of the company's UK frontpage, was filled with digs at Samsung - including quotes from a judge saying Samsung's Galaxy tablet was "not as cool" as the iPad - and ended with a claim that courts in other countries had ruled in Apple's favor. Not amused by Apple's behavior, the judge reprimanded the company for putting up an "incorrect" and "non-compliant" statement and ordered them to put up another one, in a larger font.